I'll get my rant of out the way. AirPort Utility 6 was the start of Apple's year of drifting downhill. The good news is that Mavericks is giving us some hope that Cook has a balanced approach to managing complexity. ... Click Network, select Enable Access Control, and then click Timed Access Control. What the directions don't tell you is that if you're in bridged mode (extend network) you need do this on the AirPort device that assigns IP addresses, typically the one connected to your DSL/Cable modem. The UI is very unclear, but I think you can enter EITHER the MAC address (media access control address -- every ethernet device has one, whether wifi or wired - it's one way devices get traced. No relation to Macintosh.) or the "name of the device" . But how do you find the MAC address for, say, an iPhone? Airport 5.6: wifi -Use AirPort 5.6 Advanced:Logging & Statistics:Logs & Statistics:DHCP Clients from the DHCP serving device (only device unless you have bridged network like mine). You can copy paste the MAC address. AirPort Utility 6.x: Find IP, Mac, and network name for WiFi (not ethernet) devices by holding option key, then double click on the AirPort advice providing DHCP services. You will see a new 'Summary' tab, click outline icon in wireless client list to see details. The MAC address is called a "Hardware Address". You can't copy paste it (insert sound of teeth grinding). AirPort Utility for iOS: (Best). Tap each device on your network that can have wifi clients. Tap "Wirless Clients" then tap name. See IP, Hardware address connection details. You can tap Hardware Address to copy it. Mail or otherwise share it to your Mac so you can set timed access; you can't configure Timed Access from an iOS device. From the Mac address you can set timed access control. Was AirPort Utility 6 the start of Apple's year of drifting dangerously? 6/2013. Mavericks gives me hope Cook might turn this ship around. For an iOS device the Name might appear in iTunes, but I think spaces get replaced with hyphens. Better to use the MAC address. I just did a routine batch of software updates for my 27" Mac, including the April 2013 Epson update 2.14. This is labeled as a printer update, but it's a printer and scanner update. After the install my Mac locked up on boot, just before it should show the mouse icon. I pulled the firewire 800 cable connected to my Epson Professional V700 scanner and the boot completed. After some experiments showed that I couldn't boot as long as the scanner was connected I power cycled the scanner. It was behaving oddly, I had to pull the power cord. After that I was able to boot. I'll update this post if the problem recurs, but for now the trick was to pull the firewire cable on restart and then try power cycling the scanner. Gordon's Tech: Obnoxious old Epson Scan bug: EPSON Scan cannot be started. 2/2008. Hmm. Strangely familiar. After four months of intermittent but increasingly odd boot behaviors followed by a few days of high frequency kernel panics the flat 400/800 adapter firewire cable connecting this scanner to my firewire chain split open. So, in retrospect, this may have been the start of the firewire cable failing. In future I'm going to do a routine restart before I do updates -- just to make sure things are working before I change software. There's a lesson here about the problems of complex configurations given the limited diagnostic capabilities of OS X. There are a lot of software domains that disappoint me. It's a 'get off my lawn' kind of thing. Enormous excitement about cosmetic changes to iOS 7, but nobody cares about applications for knowledge visualization. Sob. Sure, there are some good apps for OS X  (though even they lack innovation ), but my work day is spent in the software desert of Windows 7, a forgotten platform served only by minor vendors slowly degrading once half-decent products. On the Windows 'mind mapping' front MindManager is expensive, increasingly slow and burdened by feature cruft, and locks data up in a proprietary format. I liked XMIND for a while, but then a software update slowed it to a crawl. It also seems to have been abandoned. So, lately, I've turned to FreeMind. Not because it's open source and free, not because there's ongoing development, and definitely not because it's a Java app or "cross-platform". I've turned to Freemind because, despite being homely , slow to launch, and having an eclectic UI, it has users, performs quickly when it's running, and, above all, it has the closest thing to a standard file format in the industry. A file format that's plaintext. More and more, I love plain text. I think I can live with FreeMind -- but only if I can retrieve documents using Windows Search. I live and die by free text search. I took a look at the FreeMind IFilter ($20) for Windows Search, but I was unimpressed with the klunky install and configuration requirements. It had a bad smell. Mac Mind mapping software: Inspiration, OmniOutliner and MindNode 6/2011. I used Inspiration in the late 90s, early 00s. I'd use it now but the file lock is too strong. 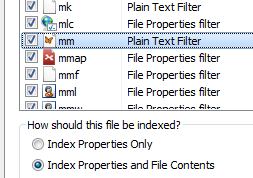 ConceptDraw can import MindManager files 8/2007. More recently I tested it, but it didn't add anything new or interesting. GrandView and idea management software - Fallows and more 1/2010. Most MindMapping software is an outliner with a spatial layout. I'd love to see OMNI Group enter this market, possibly building on OmniOutliner. I use MindNode on OS X.
 Rereading my 10/2011 idea for implementing a graph app atop simplenote nodes I'm sad nobody has done this. If I lose my job maybe I will. Worse than homely, FreeMind currently has a major usability problem. There's nothing in the UI to tell you that a node has collapsed children. It's quite weird. I'm scrambling as usual, so no time for a full post. I've been running through Feedbin, Newsblur and Feedly today. I paid for both Feedbin and Newsblur, and Feedly is free. My biggest disappointment is Feedbin and Reeder.app -- the sync isn't working! Feedbin says I have 270 unread, Reeder.app says 1086. Reset didn't help. Next disappointment -- both Feedbin and Newsblur didn't get my Google Reader custom names for feeds. Only Feedly picked those up. Newsblur (open source!) is far too social. It insists on showing me comments as I try to read my feeds. It shares to Pinboard in the web app, but not in the iOS app. No Reeder.app support. Newsblur is strict folder hierarchy - no tags, no acyclic graph organization. No URL sharing. Newsblur has best performance and most features, but so far it's not right for me. I'll try again in a month or so. Feedly has the very irritating plugin model and no Reeder.app support. It's my emergency fall back. Ugh, this will be a hard transition. There's still no true heir to GR's basic functions, not even counting all the abandoned features it had. If not for the Reeder sync problems I'd go with Feedbin, but that's a bad fail. For the next few days I'm happily back to Google Reader (7 days left! ), I'll see if Feedbin's sync bug clears itself. Emily opened her email 3 days ago and saw "Welcome to Mail". That's bad. It meant OS X had lost track of her mail archives. The files were all on disk, but the OS knew nothing about them. Then I found Power loss, Mail accounts gone,...: Apple Support Communities, a post that recommended also restoring ~/Library/Mail/V2/MailData/Accounts.plist. That looked good, since her current file was 1kb and the old one was 6kb. After a Time Machine restore her email was back. Of course this doesn't explain why her data was lost in the first place. HFS+ is supposed to be journaled, we should't lose these files even in a nasty crash. So now I have to run some drive diagnostics. Update: . Oops, i should have read more closely damnit. I think the SuperUser article had the right advice pre-Lion. Personally I wouldn't mess with /System unless the other two fail and the directory changed post Lion. CloudPull - backup your Google Cloud properties -- including your old shares and your multiple Drive accounts. I've been using Golden Hill Software's CloudPull Premium ($15 now, I only paid 410 due to a promo, TidBITS users can jump get a 20% discount if they insist) for a month or so. It backs up parts of the Google data associated with 3 of my Google identities -- Personal, Public (jgordon@kateva.org) and Work. Sooner or later I'll start backing up the kids stuff too. The backup data includes my Google Calendars (primary and subscription/shared as .ics), Google Contacts (3,496 as .vcf), Drive files (Google versions converted to iWork, else native) and Reader subscriptions, starred, shared and liked (not sure of format, seems a mix of database and references). The repositories are searchable through CloudPull and, since I changed the store setting to be in my Documents folder, via Spotlight. I don't backup my email accounts; those are in Mail.app. My archive includes about 40,000 Google Reader shared articles, a SQLite database of about 400MB and total storage of about 5 GB. Not trivial, but manageable. The storage architecture makes use of SQLite and many shortcut links. I am quite fond of this app. It has a minor glitch in an early version, the developer fixed that quickly. Highly recommended for every Mac user of Google products. Aperture slideshow smaller than expected? You may need to create previews. When I began using Mountain Lion the slideshow screen saver couldn't handle nested photo folder. That regression from the best version of OS X was fixed in 10.8.3, but by then I'd switched to using Aperture for my slide show of child-programming images . Aperture came with its own problems. For example, the same image would seem to get stuck on both monitors. That improved with 10.8.3 and/or running 'repair database'. Some time later though, it occurred to me I was seeing the same images more often than expected for a library of 6,000 "best of" images. The catch, of course, was previews. The slide show feature needs JPEG images to work, and, as it turned out, only a small number of my 6000 slideshow "RAW" images had previews. The Aperture 3 User Manual explains how to update or create previews: "Choose Maintain Previews For Project from the Library Action pop-up menu". I created a smart folder to hold all my slideshow images, chose select all then "maintain preview" on one context menu. I came back a few hours later and now I have a much larger set to view. My theory is that by exposing the children to thousands of images of happy family moments, they will be programmed into thinking they had a happy childhood and thus will ensure I do not suffer long in my dotage. Mac USB port not working? Try an SMC reset. I unplugged my 27" i5 iMac during a thunderstorm the other day. When I plugged it back in, my USB hub no longer charged our iPhones. It was dead. This annoyed me, but the iMac is a few years old and that port has been well used. Perhaps I was just unlucky. Gradually though, I remembered that unplugging an intel iMac resets the System Management Controller (SMC). That's normally done as a fix for problems, but perhaps it can also cause them. So I repeated the reset and my USB port works again. For the moment anyway, I wouldn't be surprised if it fails later. Erratic sleep mode performance, including not waking from or not entering sleep. Mac portables (MacBook, MacBook Pro, MacBook Air) not responding to lid opening or closing. Failure to respond to the power button being pressed. MagSafe power indicator not displaying or displaying incorrectly. Sluggish performance, even though Activity Monitor shows little CPU usage. Target Display Mode not working correctly. Battery not charging or taking excessive time to charge. Display backlight not responding to ambient light level changes. Years ago my wifi/routers would fail every 8 months or so. I don't know why they were so short-lived, I assume it was a combination of cheap gear, poor cooling, lots of encryption work, and maybe something special about RF gear. I switched to Apple gear and I was delighted. Until I bought my 500GB Time Capsule in July 2009. Wow, it has not been good. I've 45 posts to date on Time Capsule, and at least half are bugs and issue workarounds. Then, cough, there's AirPort Utility 6. That new arrangement, and perhaps various updates to Lion and so on, seemed to help. Until, about five months ago, backups to the 2TB drive attached to the 500GB TC started to fail mysteriously. Restarting the drive did nothing, but power cycling the Airport fixed things. I couldn't find any cause, so I just power cycled every few weeks. The TC is working at the moment, but if it fails me again it's going back to Amazon and I'll try running Mountain Lion Server based network backup. I also do a Carbon Copy Cloner backup of my primary machine with file archive; that encrypted drive rotates offsite with 3 other 2-3TB drives. If you don't have two completely different backup systems with at least one offsite drive at all times you're not backed up. Mountain Lion supports encryption of Time Capsule backups, but initial backup is very slow then -- even over ethernet. Seems ok afterwords. Be damned sure you can retrieve that password if your system dies. A lot of my hardware is 3-5 years old, so I'm expecting a flurry of failures. Slow hardware failure is pretty darned frustrating.